Over the last few months, I’ve been trying to come up with tools and resources that I would want to add to a web site that would be useful not only to myself, but to others. Product reviews and tutorials make up a large part of my posts, but I wanted something a bit more substantial – a resource that would have people returning to my site with a reason. And to that end, I’ve added a whole section on the Aurora Borealis. 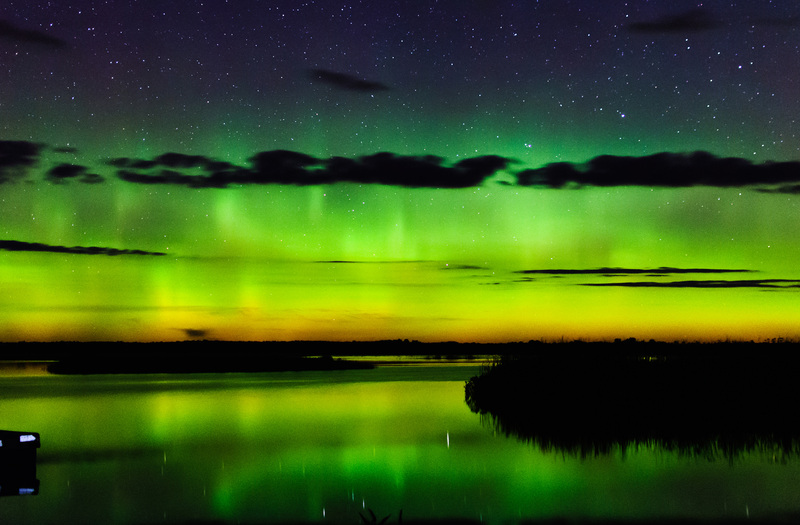 This new section includes general information on the aurora; from an explanation of what it is and what causes it to the indexes used to measure and quantify it. But the real highlight is the Aurora Forecast Tool using data from the NOAA Wing Kp and Planetary indices as well as the NOAA OVATION map. This data is already available online, but currently mine is in a more readable format and more functional – allowing the data grid to automatically refresh every 2 minutes without having to reload the entire page. Every 2 minutes, you get the latest and greatest data without having to do anything but keep your browser open. And I plan to add more tools, graphs and charts to assist aurora chasers. This blog entry wouldn’t be complete without giving a big tip of the hat to my 17 year old son Xavier who was the mastermind behind the code that reads and displays the data. This kid is a programming whiz and I’m glad to have him earn his keep (as well as a bit of extra money) helping me out with coding, since he’s so good at it. You can find the forecast tool at this link. Bookmark it and use it!